The opportunities in the emerging markets of Asia can hardly be ignored. 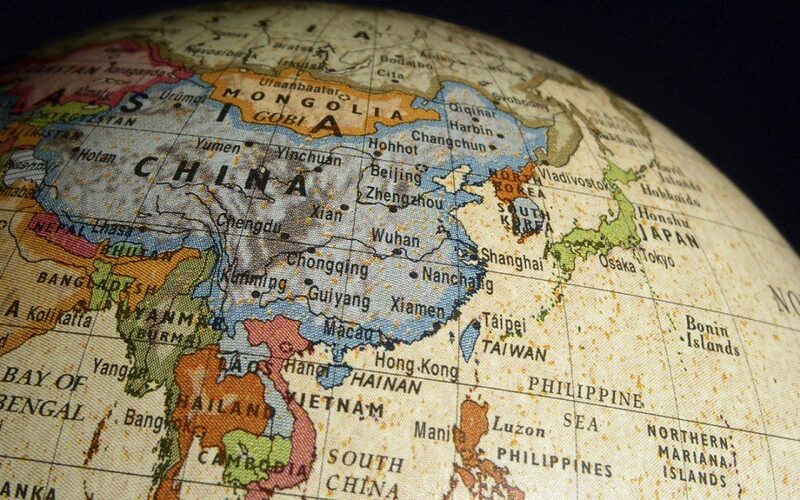 We look at how companies are strategically planning their growth in Asia. With the rapidly growing economies of Asia, multi-national corporations (“MNCs”) have gradually been re-aligning their operations to take grasp the business opportunities in Asia, rather than simply viewing it as a cheap source of labour and raw materials. However, when it comes to doing business in Asia, it is inevitable that language and cultural barriers can impede business growth. Even as huge MNCs such as Apple, Google, Seagate, IBM and Hitachi have established strong regional offices, they too are not invulnerable – Google’s exit from China and the unexpected backlash against Uber in Malaysia and Indonesia have proven that expanding into Asia is no simple matter. One key reason why some MNCs have balked at the thought of expanding to Asia is the perceived instability in the region, or the poor infrastructure in place. While this may be true of some developing countries, such as India, where the haphazard and overpopulated city structures have made it difficult for the government to urbanise the city, or China, where its sheer size have made accessibility an issue for the rural areas; the same is not true for smaller countries such as Hong Kong and Singapore, which have been internationally recognised for their infrastructure and wireless accessibility. In fact, in a survey conducted by the World Economic Forum for 2014-2015, which reviewed 144 other countries, Hong Kong and Singapore both ranked top, beating their peers in the West. In addition, Asia itself hosts many dynamic and reputed financial hubs, some of which are competing fiercely with the more established financial hubs of New York, London and Boston. In its annual survey of financial hubs around the world, the Z/Yen Group, a leading think tank based in London, listed Asian financial hubs such as Hong Kong, Singapore, Tokyo and Seoul ahead of Chicago, Boston, Toronto, Washington and Luxembourg, signifying a movement of the international economic growth towards Asia. In addition, other Asian financial hubs such as Shanghai, Shenzen, Dubai and Taipei have been aggressively moving up through the ranks. While it may have been true that the Western workforce had previously held the advantage over the Asian workforce in terms of qualifications and academic background, Asia has improved the quality of its education by leaps and bounds in the last few decades. In particular, various academic institutions have achieved world recognition and were ranked in the top 50 in the Times Higher Education World University Rankings 2014 – 2015, which judged universities according to 13 carefully calibrated performance indicators. Indeed, MNCs are beginning to recognise that there is a valuable wealth of talent and expertise to be tapped upon in Asia; and with comparatively lower costs of living in Asia, employing qualified and skilled workers is becoming a more attractive prospect, particularly since many countries in Asia do not enforce a minimum wage policy. Out of these countries, Singapore in particular, has stood out for foreign investors, for the simple reason that its country’s main language of communication is English – a cultural legacy from its British colonial roots. Whilst other countries have chosen to revert back to using their mother tongue or dialect, using Cantonese in Hong Kong, Japanese in Japan; and Mandarin in China, Singapore has maintained English as its primary language, whilst its citizens, who comprise a mix of Chinese, Malays, Indians and Eurasians; are free to choose their mother tongues as a second language under its bilingual policy. This has effectively led to the creation of a unique environment where investors and expatriates find communicating with local citizens effortless, while being able to rely on them to translate or communicate with others from the nearby region in their native mother tongues. In their bid to attract foreign investment, various Asian countries have also implemented extremely friendly business policies – tax being one of the key methods. The comparative table below gives a snapshot of corporate tax rates, but do note that these exclude tax concessions and tax incentives. Evidently, companies can definitely benefit from the lower tax regimes in countries such as Hong Kong, Singapore and Korea. Given that the profits of MNCs usually run in the millions, a reduction of taxes, even by a few percentage points, could potentially make a significant impact on total profits earned. Moreover, the key difference between these tax jurisdictions and countries like the U.S., is that while the U.S. imposes a worldwide tax, i.e. income earned worldwide is considered taxable, most of these Asian countries have a territorial tax regime, i.e. only income earned or repatriated to the country are considered taxable. In particular, Singapore has made itself extremely attractive to MNCs through its territorial tax regime and tax treaties, which allow for companies to claim foreign tax credit and pool their foreign taxes. Notably, Singapore is one of the countries in Asia that has established very strong diplomatic ties with many other countries throughout the world, mostly due to its neutral stand on many regional, racial and religious conflicts; as well as its political stability. This is in contrast to the border tensions between China and India, or even the rising political tensions in Hong Kong as it heads towards political reform. To-date, Singapore has successfully negotiated for 74 Double Taxation Agreements (“DTAs”), 41 Investment Guarantee Agreements (“IGAs”) and 21 Free Trade Agreements (“FTAs”) / Economic Partnership Agreements (“EPAs”), with countries all over the world. To take advantage of these tax treaties, companies will need to apply for a Certificate of Residency (“COR”). With these tax treaties, MNCs have found that it is far more tax efficient to structure their companies in Asia such that attractive tax jurisdictions host their holding companies or regional headquarters, to avoid double taxation. Certainly, it also helps that countries such as Singapore wish to encourage the establishment of regional or international headquarters in their country; and has implemented incentives such as the International/Regional Headquarters Award (“IHQ / RHQ”), which grants a concessionary tax rate of 15% to qualifying MNCs. Notably, the IHQ / RHQ does not exclude the company from benefitting from any other incentives that it may qualify under. Most importantly, Singapore has realised the administrative pains of a complicated tax structure and have made it extremely easy for companies to file their taxes. Compare this against the U.S., where it was estimated that there are more than forty variables to be considered when computing taxes. Particularly for foreign investors and foreign companies, dealing with any paperwork with regards to Singapore’s government is a relief as compared to various other countries in Asia, simply because the paperwork is in English; and is mostly filed through the government’s electronic web portals. Moreover, there are very comprehensive guides to assist companies in doing so. On the other hand, while other countries such as Hong Kong and Korea have a relatively high proportion of English speaking citizens, most of their government related documents, such as Certificates of Incumbencies, are in their native language. Undeniably, the financial hubs of Singapore and Hong Kong make it far easier for foreign investors as they already attract a high level of foreign investment and have many locals who can communicate effectively in English and various other foreign languages. Money-wise, companies should definitely consider and review various pro-business incentives that they can benefit from. For example, Singapore provides for a start-up tax exemption, which allows newly incorporated companies to claim full tax exemption on the first $100,000 of normal chargeable income for each of its first three consecutive years of assessment (“YAs”). Companies that invest in new technologies can also qualify under the Productivity and Innovation Credit (“PIC”) Scheme, which provides for 400% tax deductions or allowances on qualifying expenditure. Alternatively, one of the routes taken by MNCs is to acquire or merge instead – this has the dual benefits of providing the MNC with existing infrastructure and assets, while minimising its competition. However, the acceptability of this strategy is limited, given that culturally, some countries may have difficulty giving up ownership of their businesses. For example, the giants Toyota, Honda and Mitsubishi in Japan are all family-owned and the companies carry their founders’ surnames. That said, countries such as Indonesia, Malaysia and China do not have this practice; and Singapore actually encourages mergers and acquisitions, granting a tax allowance of 25% of the value of the acquisition, subject to a maximum of S$5 million for each tax year. With the growing affluence in Asia and the wealth of opportunities there, it would be foolish of any MNCs to ignore its potential. However, strategic steps need to be taken, particularly when unfamiliar with the country’s customs and market norms. Inevitably, foreign investors will have to accept a certain degree of reliance on locals; or learn some of the language or customs.